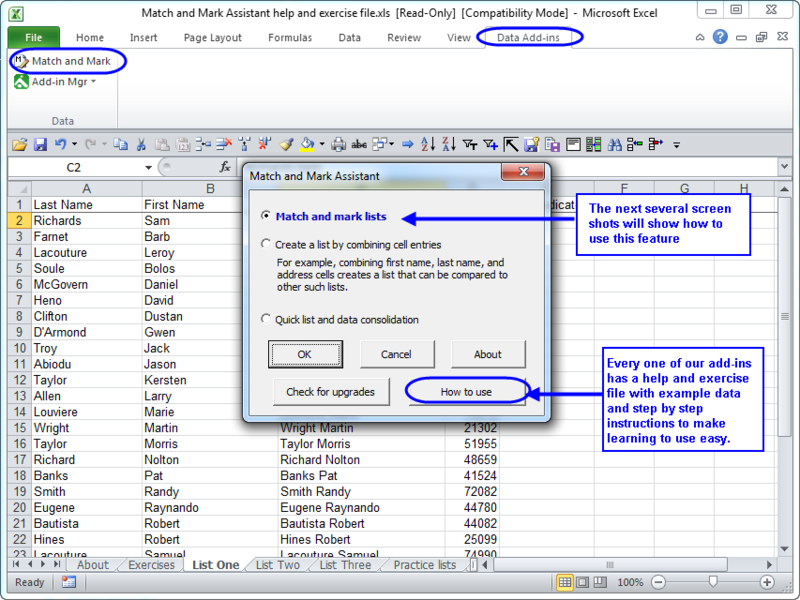 The Match and Mark Assistant add-in for Microsoft Excel can quickly and easily compare multiple lists at one time. Menu drive for ease of use. One can color or put in cell entries to indicate where matching entries are found between the lists. Extremely fast. It is compatible with Microsoft Excel 2007 to 2019 and Office 365. Order online from our secure service. Get delivery in minutes!